The Leadership Practices Inventory (LPI) has been called the "most reliable and valid instrument for leadership development" by the Center for Creative Leadership. The LPI is an empirical assessment tool, which has been used with over 250,000 leaders and more than a million of their constituents. 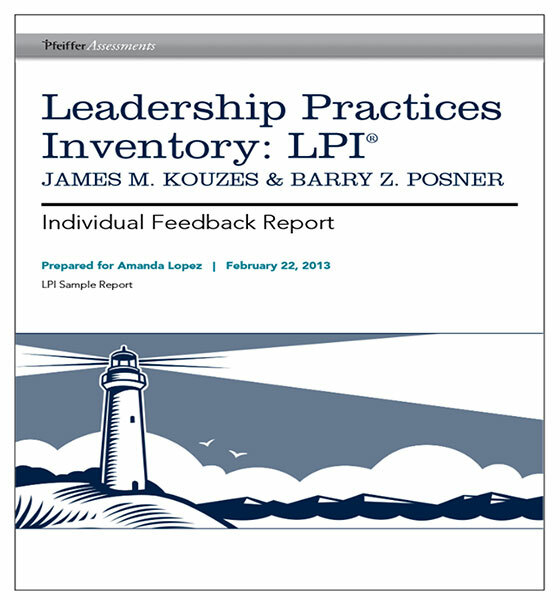 More than 120 scientific studies have consistently confirmed the reliability and validity of the LPI and the Kouzes-Posner leadership framework on which it is based. "Leadership development tools come and go, but for two decades the 360-degree LPI from Kouzes and Posner endures, and for good reason. When implemented with their development and organization culture building system, it’s simply the best!" The LPI is a 360 assessment, providing powerful feedback from a variety of Observers which are selected by the Leader taking the assessment. Observers include manager(s), direct reports, colleagues and other stakeholders. It takes a Leader or Observer 15-20 minutes to complete the 30-item LPI online. This assessment is available for purchase on its own, or as part of a coaching session. It is also available as part of a 1/2 day workshop for your team. To order your online LPI, contact us. You will receive your confidential report and a thorough debrief session to help you create an action plan for your leadership development, based on the LPI results.